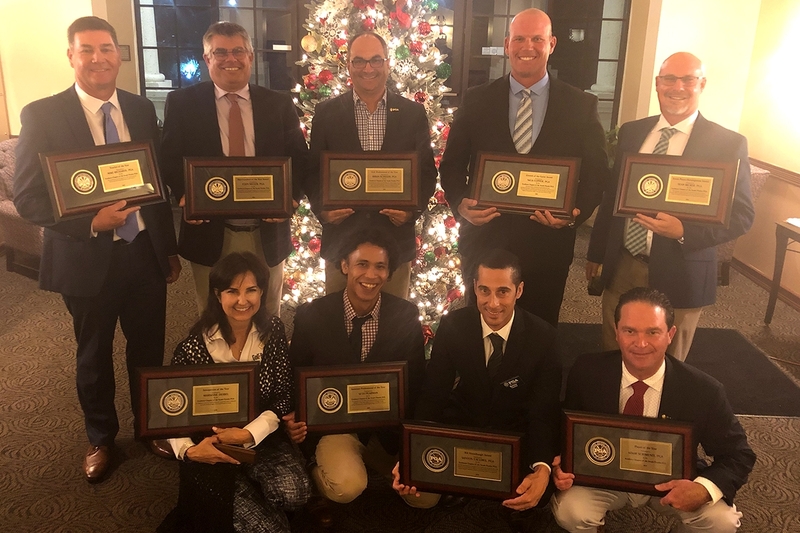 December 5th 2018 - On Tuesday, December 4th, the Southern Chapter of the South Florida PGA conducted their Annual Fall Meeting and Awards Ceremony at Pembroke Lakes Country Club. Members and Associates gathered together to recognize the outstanding work by their fellow peers. Special thanks to Harry Ferguson, PGA Director of Golf and the entire staff at Pembroke Lakes Country Club for all their hard work throughout the evening, in addition to Winners Award Group and Signature Golf for supporting this event. Congratulations to all of the Awards Recipients on their accomplishments.